For more information or a quote on Extended Warranties and Service Plans, please complete the contact form below. Every new Mazda comes with a limited warranty that provides coverage in the unlikely event a repair is needed in the first years of ownership. Exact details are in your warranty information booklet, but rest-assured, we'll be right there with you. Along with your warranty coverage, Mazda provides Roadside Assistance for specific warranties, so the only thing you will need to do is enjoy the drive. Keep in mind, Mazda warranty coverage is based on following recommended factory maintenance ? a convenient way to store your service records is in the MyMazda Service History Pages . It's easy to complete and a good way to manage your service history. If your original manufacturer's warranty has expired, you can still protect yourself from the rising cost of unexpected repair expenses. Purchase an official Protection Plan and Service Contract from Dyer! Mazda, your authorized provider. 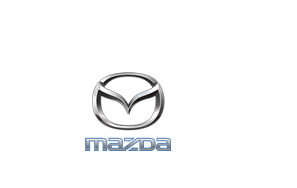 The Protection Plan will continue your financial security when your original Mazda factory warranty has expired.